Once, if briefly, a maritime power to rival Genova and Venezia, Pisa now draws its fame from an architectural project gone terribly wrong: its Torre Pendente (Leaning Tower). But the city offers quite a deal more. Indeed the Tower is only one element of the trio of Romanesque beauties astride the green carpet of the Campo dei Miracoli. Pisa has a centuries-old tradition as a university town and even today is full of young students. The Torre Pendente is the symbol of the town. Its architect, Bonanno Pisano, managed to complete only three tiers before the tower started to lean on the southern side. The problem is generally believed to have been caused by shifting soil and the "leaning tower" has continued to lean by an average of 1 mm a year ever since. As you crest hill coming from the east, the 13 towers of this medieval walled town look like some medieval Manhattan. The towers were symbols of the power and wealth of the city's medieval families and once numbered 72. San Gimignano delle Belle Torri (meaning 'of the Fine Towers') is surrounded by lush and productive land and the setting is altogether enchanting. Originally an Etruscan village, the town later took its name from the Bishop of Modena, San gimignano, who is said to have saved the city from the barbarians. It became a comune in 1199, but fought frequently with neighbouring Volterra. The internal battles between the Ardinghelli (Guelfi) and Salvucci (Ghibellini) families over the next two centuries caused deep divisions. Most towers were built during this period. In 1348 the plague decimated the population and weakened the power of its nobles, leading to the town's submission to Firenze in 1353. Today, not even the plague would dent the summer swarms. Designed and built by Vasari in the second half of the 16th century at the request of Cosimo I de Medici, the Galleria degli uffizi is in the Palazzo degli Uffizi, which originally housed the city's administrators, judiciary and guilds. It was, in effect, an office block (uffizi means offices). 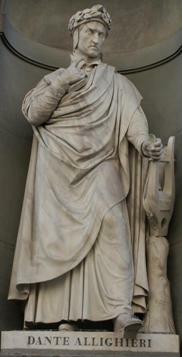 Vasari also designed the private corridor that links the Palazzo Vecchio and the Palazzo Pitti, known as Corridoio Vasariano and lined with paintings. 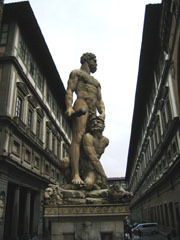 Cosimo's successor, Francesco I, commissioned the architect Buontalenti to modify the upper floor of the Palazzo degli Uffizi to house the Medici's growing art collection. La Galleria degli Uffizi is now famous for the extraordinary wealth of the collection and the sheer number of famous works.